The Stationery Fairy: I'm Back, New Invitation, & Time for a Giveaway! 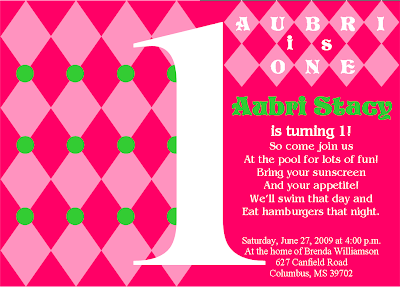 I am back home from vacation, and excited to show you my latest invitation I created for my sweet niece's first birthday. I will post a couple more invitations that I created recently for you to check out soon. Put my name in!! I love them! I would love to have a dozen FREE. You do a VERY GOOD JOB Celeste. They are so super cute. Keep up the good work. Cool!!! I'd love to have some!!!! Thanks!!! These are all precious! Good job! I LOVE all of it! I need to get Jaxson and Brantley some note cards! You are talented girl! Maybe one day we can open up a store together! Put me in for the giveaway! Love giveaways!